Knee length skirts that have been pre-washed for that soft vintage look and fit. 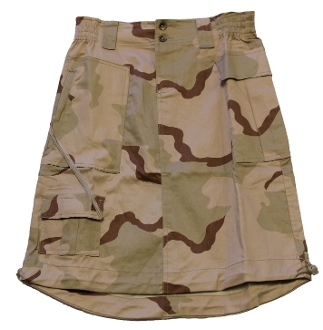 They have a low rise cute and 4 pockets. There is an adjustable hem and elastic side waist, allowing for a more comfortable fit. Made of a ramie/cotton/spandex rip-stop blend.